It’s been just over a month since we added 35 young Bobwhite to our small flight pen. The birds are now approaching 10 weeks of age and in a couple more weeks we should start to see their adult colors and get a better idea of the gender mix of our population. We learned very quickly that the soft sided netting at ground level was not going to be sufficient to repel farm cats. And then there were 33. But it was a good lesson to learn early before attempts by more wild and nefarious predators could be made under cover of darkness. Some quick adjustments to the pen with some wire mesh seem to have improved security and we’ve not lost another bird to date. 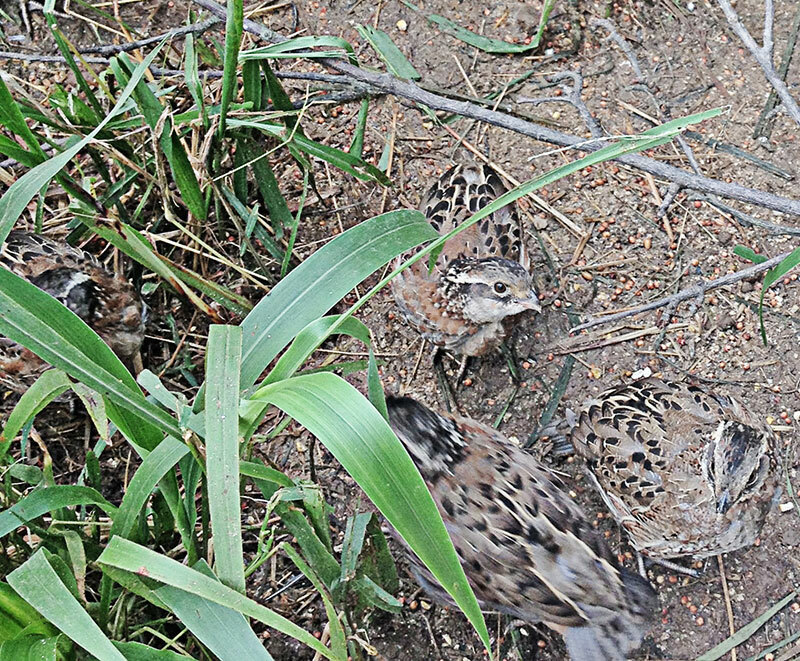 Young quail eat a lot. They have no problems pseudo-foraging for food which we’re broadcasting on the ground. Meal worms seem to be the most highly prized energy source which makes sense because of the high protein requirements for young birds. Grasshoppers or crickets unfortunate enough to wander into the pen are quickly divided as well. The cover and food plot continue to thrive in the wet Ohio summer and grain yields should fair quite nicely this fall. In the interim it provides good hides within the pen that the Bobs seem to enjoy. It is astonishing how quickly 30 birds can disappear in such a small enclosure. It’s become clear these birds will not be made truly wild as we once hoped. They have imprinted on their primary caretaker, my dad, and he has taken to them as well. This might be concerning if there was a thought we ever intended to “hunt” these quail. But the goal is not to have strong flyers for shooting. The goal is to have fat healthy birds that stand a chance of surviving a rough winter. Our wild bird plan has become multigenerational. If we can shield some birds from the clutches of a deadly winter and all the peril therein, a breeding in spring will produce hatchlings that have never known a pen or the charity of a free meal. So the bar has moved. We’re learning and hopefully our quail are as well. They still demonstrate wild tendencies to evade and hide. But the dinner bell strikes a powerful chord that trumps most fears. Maybe when the seeds begin dropping after the first frost and we open the pen, the provider of food will become less important. For now we’ll just hope luck remains on our side and we can keep birds healthy and growing to the satisfaction of the old man and quail alike. So how did your birds do over the winter and spring? Ii would like to do something like this except with Gambles Quail… I would be very interested in hearing how they faired. Steve, thanks for the interest. We know for certain that birds survived over winter. There were multiple sightings by multiple neighbors aware of our project and since there is no true wild population left, any birds seen would have to be from our release. Also one of these neighbors shared photos, so it was verified. The challenge beyond that becomes density and if we have enough birds in the spring to find one another and nest. We know from previous research by professionals on pen-raised birds that nesting is less successful, though can still be accomplished. And that’s what we need. Because a successful nesting produces a truly wild generation that has never seen captivity. We do these projects on a really small scale and a shoestring budget. I believe our over-winter density was a bit light and birds spread over a wider area than we expected — there is a habitat corridor that runs along a creek. We took a year off of raising birds to see if there were any further sightings. 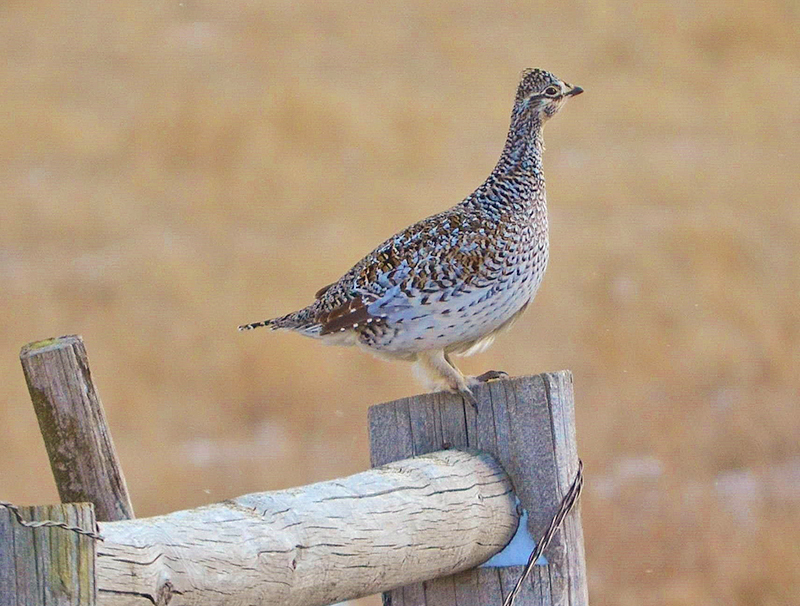 And a neighbor did report seeing quail this fall. That’s encouraging. We’re looking at the next steps and a broader program this spring. 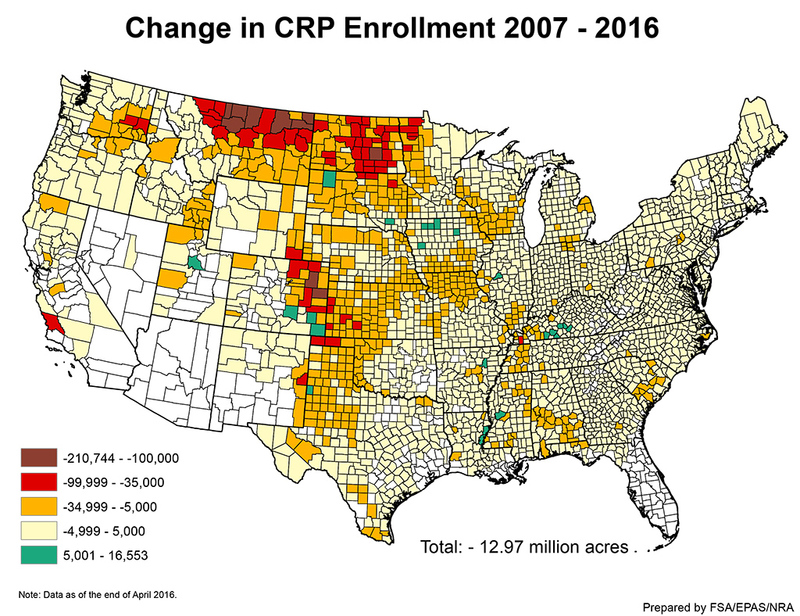 Keep in mind, we’re raising and releasing birds in an area where there is no longer a wild population. 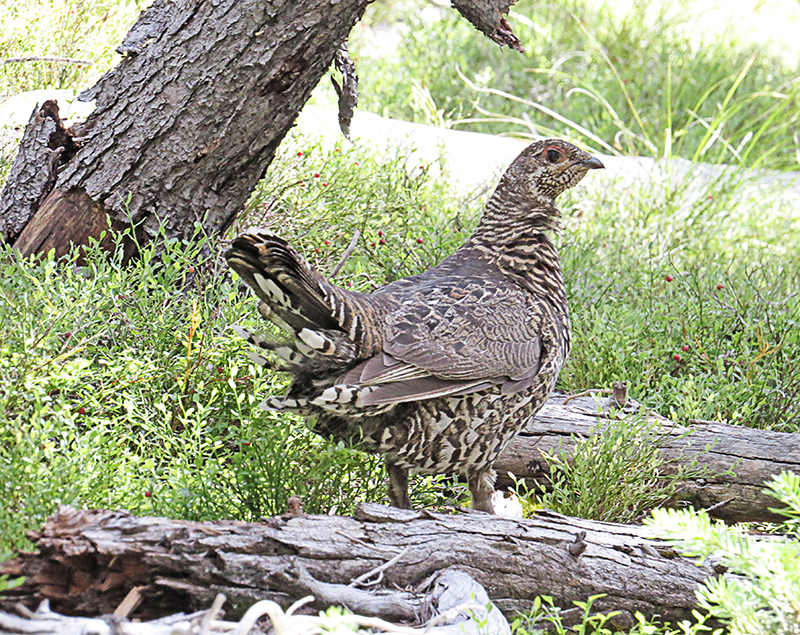 Many states and wildlife biologists discourage release of pen-raised birds into existing wild populations for fear of introducing disease or diluting genetics. 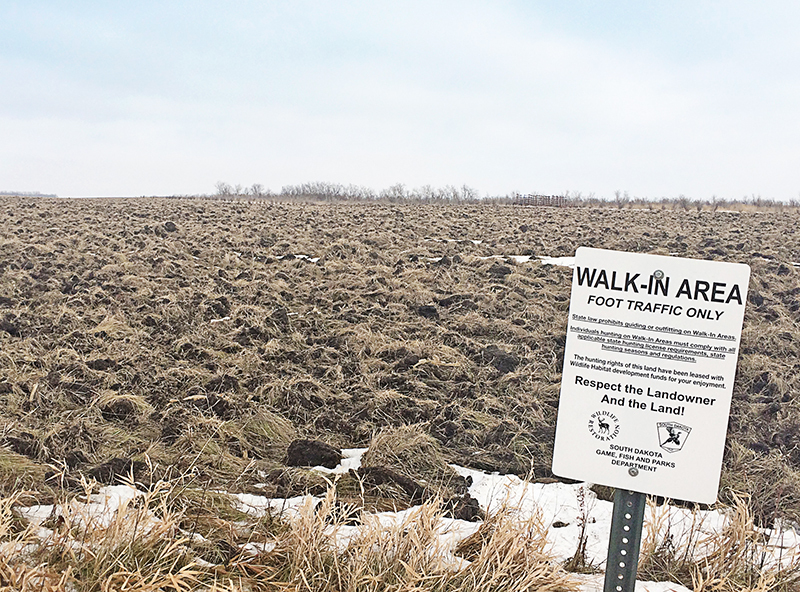 Also, this area of Ohio once had wild Bobwhite, so our releases are not introducing a non-native to the area.